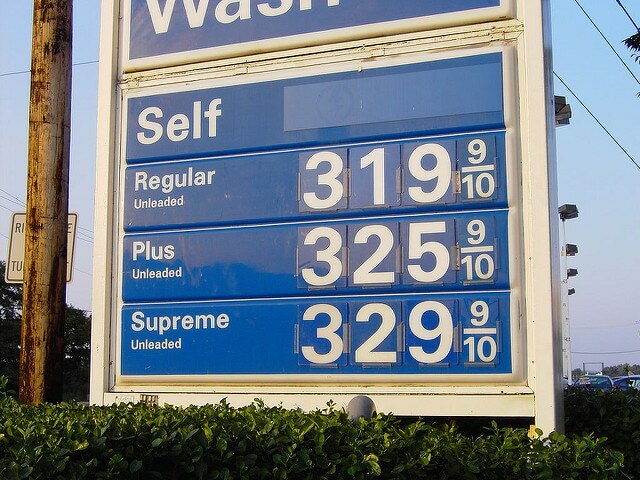 Autos Reign Why Do Gas Prices Jump Around So Much?!?! Why Do Gas Prices Jump Around So Much?!?! People drive more during the nice, sunnier days of the year, driving up demand for gas, and raising prices as well. In any messy weather, rough roads encourage motorists to avoid lengthy road trips and that drives demand down. An obvious determinant of gas prices is the price of crude oil, the resource that gas comes from. Changes in fuel prices tend to track fluctuations in crude oil, and there are a bunch of factors that play into that equation. Today, oil prices are low because of how Saudi Arabia hesitates to cut their ramped up output and a booming North American oil production. It’s really just a matter of economics, when supply of a commodity is high, prices usually drop. Gas stations sell summer blend gas during the hot summer driving season, and then switch back to winter blend gas for the winter months. Summer blend gas exist because of gas manufacturers trying to control VOCs (volatile organic compounds) that are destined to evaporate when it gets hot. More VOCs in the air means more smog, especially during the summer. Unfortunately, mixing up summer blend gas–which has less volatile ingredients–costs more per gallon. Usually, summer blends are some 10-15 cents per gallon more expensive than winter blends. Weather-related disasters, like hurricanes, can also cause a rise in gas prices. The majority of American refineries and any oil drilling platforms are close to the Gulf Coast where late summer hurricanes and tropical storms occasionally disrupt operations. Refineries tend to do regular upkeep work in the fall and spring, which can lead to interruptions in the gas supply. Even though this switch over takes just a few weeks, the resulting gas flow interruption drives prices up. Springtime, in particular, is a time when refineries shut down on gas production because they have to switch over to summer blend gasoline. Where you live may have an effect on what you pay for gas because of local taxes. For example, South Carolina taxes gasoline sales at about 35.15 cents per gallon (when this article was written) while North Carolina taxes about 55.15 cents a gallon. And those tax differences are passed directly to consumers. As you can see, there are many kinds of factors here – some season-dependent, some state-specific, some globally significant, and some because of unpredictable weather-related effects. We hope you have found this article interesting!